This hotel is next to Meloneras Beach and Golf Course in southern Gran Canaria. It has 3 swimming pools, a sun terrace, spa and striking design inspired by Antoni Gaudí. The rooms at the H10 Playa Meloneras Palace feature tiled floors and typical Mediterranean décor. They all come with a private balcony and satellite TV. The hotel’s Tamadaba buffet restaurant offers show cooking and international food. Gaudí Restaurant serves à la carte meals, and there is also a poolside bar-café and 2 other bars. Leisure facilities at the Hotel Playa Meloneras Palace include tennis courts and a mini club for children. The lively resort of Playa del Inglés is around 10 minutes’ drive from the H10 Meloneras Palace. Gran Canaria Airport is just 25 minutes’ drive away. Lopesan Villa del Conde Resort offers a picturesque setting and ocean views from its setting on Meloneras Beach. It features a spa, large outdoor swimming pool and free private parking. The Lopesan is half a mile from Maspalomas Nature Reserve. This large resort and spa has landscape grounds and spacious rooms. All air conditioned rooms feature stylish décor with bright colors. Each has a balcony or terrace, satellite TV and a minibar. There are 5 restaurants including a buffet option, Mediterranean and an Italian restaurant. The Alpendre Salt Grill serves a large salad buffet, while the Patio Café offers cake and crêpes. There are 6 bars, one offering live music. The spa covers 12,900 ft² and is right on the sea front. It has Turkish baths, an African sauna, flotation pool and hydrothermal circuit. A range of treatments is available for an extra cost. Set 800 metres from Gran Canaria’s Maspalomas Beach, this luxury complex features a spa, casino and heated lagoon-style swimming pools set in tropical gardens. Each room has a private balcony. Rooms at the Lopesan Costa Meloneras Resort, Corallium Spa & Casino are spacious and elegant, with marble floors and air conditioning. They all have satellite TV, a minibar and a private bathroom with a hairdryer and bathrobes. The Costa Meloneras Resort’s stylish Ambassador restaurant serves nouvelle cuisine. The complex also offers buffet restaurants, cafés and a cocktail bar. The Lopesan Spa offers a hydrotherapy circuit and salt grotto. A wide range of wellness treatments is available. The complex also features an artificial beach and sun terraces with loungers. Situated next to Maspalomas Lighthouse, the Lopesan Costa Meloneras Resort is a 10-minute walk from Maspalomas Dunes. The hotel offers a free shuttle service to Meloneras Golf Course, just 1.5km away. Bahia Meloneras is a quiet complex, set next to Meloneras Golf Club and 300 metres from the beach. It offers an outdoor swimming pool and well-equipped bungalows with terraces. All accommodation at the Bahia Meloneras is brightly decorated and spacious. 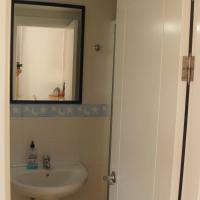 Each 2-bedroom bungalow has a living area with a flat-screen TV and satellite channels. All bungalows have a fully equipped kitchen with an oven. The complex is just 200 metres from the centre of Meloneras and less than 1 km from Pasito Blanco Marina, where there is a selection of bars and restaurants. The sand dunes at Maspalomas are a 25-minute walk away. Villas Bahia Meloneras is 2 minutes’ walk from Meloneras Beach, southern Gran Canaria. Set around an outdoor pool and hot tub, the modern villas feature free Wi-Fi and a TV with UK channels. Each air-conditioned villa has a terrace with barbecue facilities and a dining table. The well-equipped kitchen includes a washing machine, a fridge, microwave and coffee maker. There is a hairdryer in the bathroom. Bed linens, towels and beach towels included. Free parking is available nearby and Playa del Inglés is a 5-minute drive from the villas. You will find bars and restaurants, as well as a supermarket and disco, 5 minutes’ walk away in Meloneras. Villas Meloneras offers modern, bright villas 5 minutes’ walk from Meloneras oceanfront promenade in southern Gran Canaria. Some have a private outdoor pool, and others feature shared pool facilities. All have a terrace and barbecue facilities. All villas offer free Wi-Fi and free parking. Some have sea views. A welcome food pack and fruit basket are provided on arrival. You will find shops, supermarkets, bars and restaurants within a short walk. Each villa has a living room with a sofa, satellite TV and DVD player. The villas with private pools also have an iPod docking station, laptop safe and CD player. 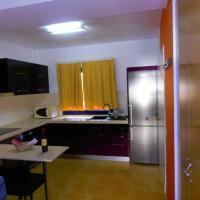 All have well-equipped kitchens, which include a dishwasher, microwave and Nespresso coffee machine. Private check-in and check-out is available. A massage service is offered for a supplement and you can request an airport transfer from the tour desk. Set 5 minutes’ walk from Meloneras Beach, air-conditioned villas at Villas Bahia Meloneras feature private terraces with barbecue and sun loungers. They have access to a shared outdoor pool and hot tub. Simply decorated, the bright villas offer free Wi-Fi, as well as flat-screen satellite TV and a DVD player in the lounge. Their kitchens are equipped with an oven, microwave and washing machine. There are several bars and restaurants in the centre of Meloneras, which is 20 to 30 minutes’ walk away. You will also find several golf courses within 15 minutes’ drive of the villas. Staff at the complex can help with car rental and bicycle rental. Gran Canaria Airport is 25 minutes’ drive away and the property can arrange airport transfers. Maspalomas and Playa del Inglés are around a 15-minute drive away.